Organised groups larger than 17 pilgrims must apply to visit Skanda Vale ashram. IMPORTANT: It is essential that you submit your group application at least two weeks before organising your pilgrimage, or you may not be able to come to Skanda Vale, as we do not have the facilities to cope with additional late bookings. We are not a tourist attraction – groups travelling as part of a sight-seeing tour will not be permitted to use the temple facilities. Unfortunately we are currently unable to provide overnight accommodation for coach groups. Everything at the ashram is free of charge; this includes accommodation, meals, pujas, and transport to Maha Shakti Temple. 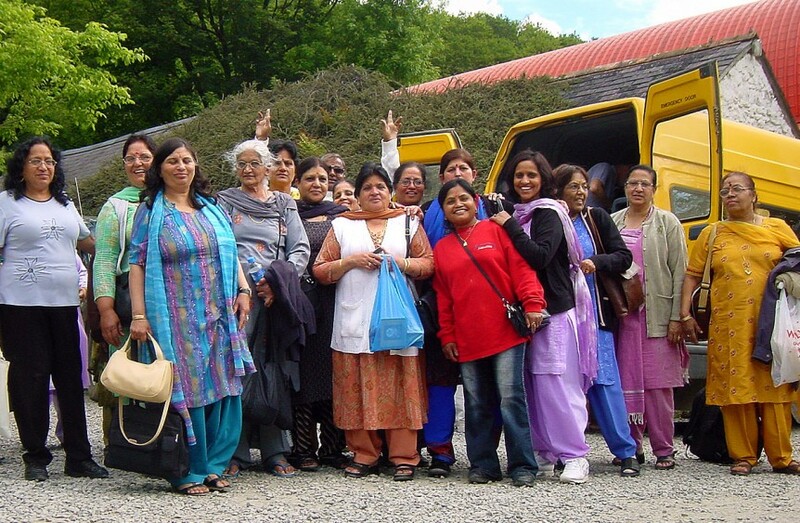 A rough guide price for coach pilgrimage to Skanda Vale is in the region of £30 per person. If your group organiser charges you significantly more than this, please inform us, as we do not allow operators to exploit our pilgrims. We can provide breakfast and lunch for coach groups, but no evening meals. Blessed food is prepared to cater for the exact number of pilgrims in your group. If you decide, for whatever reason, to leave the ashram early, the result may be a substantial waste of blessed food. This is unacceptable and we may ban these groups on future visits.